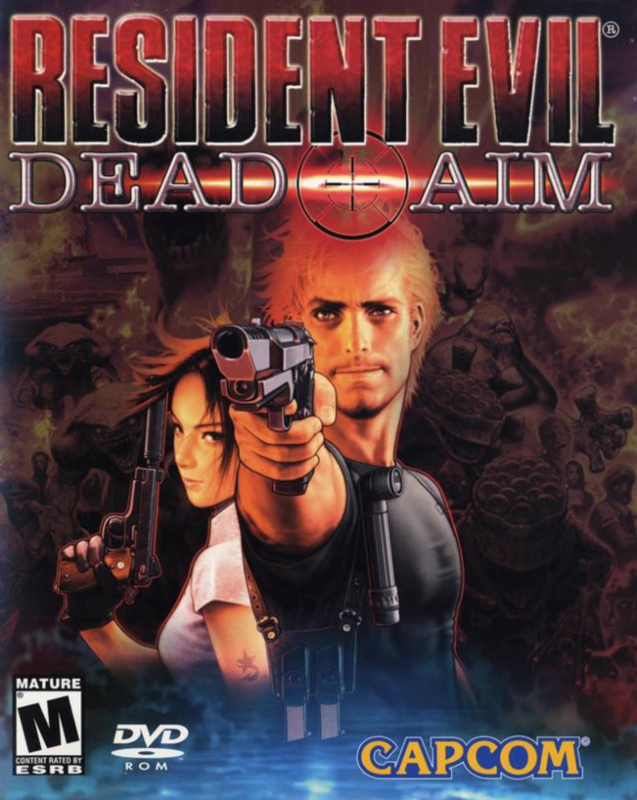 After a few failed attempts with the likes of Resident Evil Survivor being among the worst first person games ever created and the critical failure of spin off’s such as Dino Stalker one would have imagined Capcom would have given up on it’s light gun themed spin offs, but no, in steps Dead Aim but does it save the day? You take control of Bruce Mcgivern, an Agent sent to investigate a Ocean Cruiser to infiltrate the evil Umbrella Corporations plans! (You can also probably thank this game for Resident Evil Revelations). The game has you switching throughout characters and both characters have a motive for being involved in the investigation. I tend not to give too much about the story because that just spoils things right? Not a single …. was Mcgivern. The gameplay itself is very much like games such as Time Crisis, House of the Dead without the flair of those games admittedly but it has a different kind of flair, it switches in and out of third and first person view, more comparable with the likes of Resident Evil 4 for it’s camera (Yes you can point to this game for the one that probably started Resident Evil 4), it also shares the familiarity of finding your way around a huge place on limited or not so limited ammo depending on what difficulty you are on, the most important thing to remember while Survivor and Dino Stalker were just really slapped with the tags of popular games, Dead Aim actually does feel like a Resident Evil game. Only issue I would pick out with movement is that you cannot perform a quick turn, you have a little less control than previous Resident Evil titles of that era. It supports G-CON and G-CON 2 as support for peripheral, with the controller it feels a little awkward but it’s usable. The dude in the washroom decided it was better to hang around than become a zombie. I think he made the right choice. A simple well done would suffice here, but I’ll explain why they are well done, the textures of the walls of the cruiser are fantastic, the zombies legitimately look like they are the undead, the use of shadowing from the lamp and lighting effects are all great and lend to the atmosphere of the game. The sound is fantastically created, Capcom don’t usually disappoint on the sound front and this game is no exception. Back are the Zombie sounds, the Hunter sounds and so on, there are new sounds to be found too and while the game does take a bit of a different tone, the sound is still awesome and exists as a lesson to all developers in how to score the sound for your games. And stop by the shop if you want to give the game a go! I enjoyed this review! Very well written and it touched on good points for retro gaming, would like to see more! 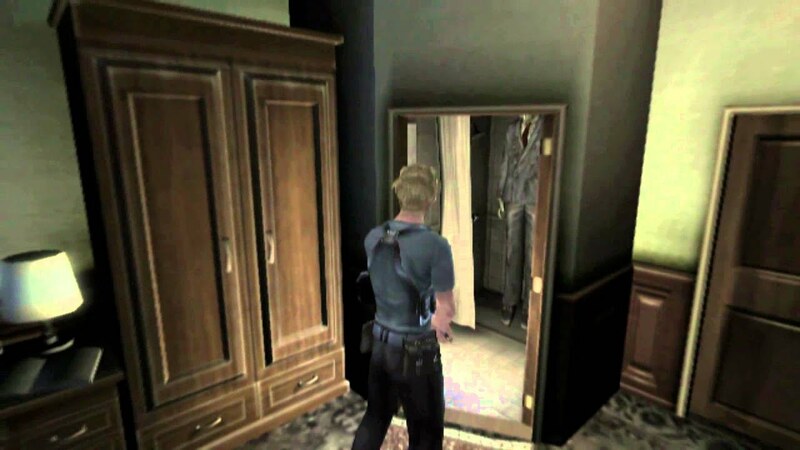 You can’t really go wrong with Resident Evil…can you? Resident Evil for GameCube is my favorite RE game. I also love the old skool over the new school. New school has basically moved away from the survival horror genre. Few things I noticed you forgot to mention is that Dead Aim and Survivor never came out in US of America. You also forgot to mention which system(s) Dead Aim can be found on. But thanks to you I feel like writing an article about the Resident Evil GameCube version. I’ll do this soon. Very soon. As I still own the game. I’m working on a review for Christmas. At the top of the reviews I’ll note every system the game is available on. In this instance it was a PS2 only game. Next review should be on or before the 24th 🙂 Then I’m doing family stuff over the Holidays! I figured out why the video wasn’t working and it’s now displaying properly! Awesome review!